We offer Spot Diffuser to our clients. Our organization has successfully expanded its business in market owing to the offered elevated quality array of Spot Diffusers. In order to cater to the numerous necessities of the patrons, we have been able to provide a wide range of Aluminium Spot Diffuser. Since our commencement, we are immersed in presenting an elite array of HVAC Spot Diffuser. 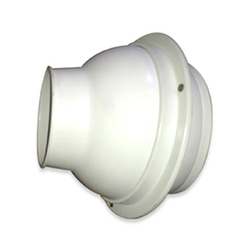 Eye ball nozzle air diffusers are used on side wall application where the quantity of air required is high along with quit performance. It is good products to attain spot cooling, also known as spot diffuser. - Spot jet nozzles for supply air into large areas. - Available sizes : ∅ 4", ∅ 8", ∅ 12", ∅ 16". 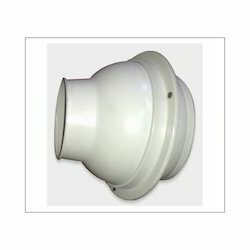 - Spot jet includes volume damper as standard. Owing to the wide experience in this domain, we are instrumental in offering Spot Diffuser to our clients.